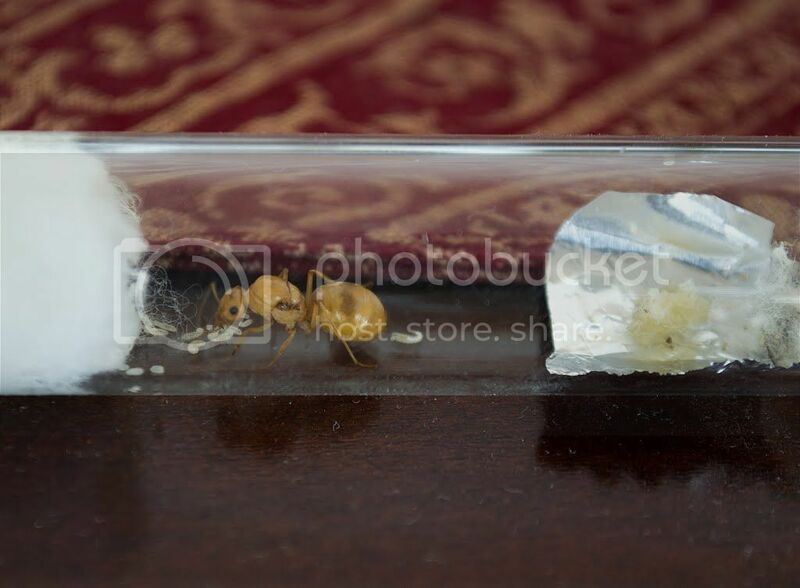 A reader has a problem identifying his honeypot ant queens. Anyone out there good at Myrmecocystus identification? See the links for his photographs. 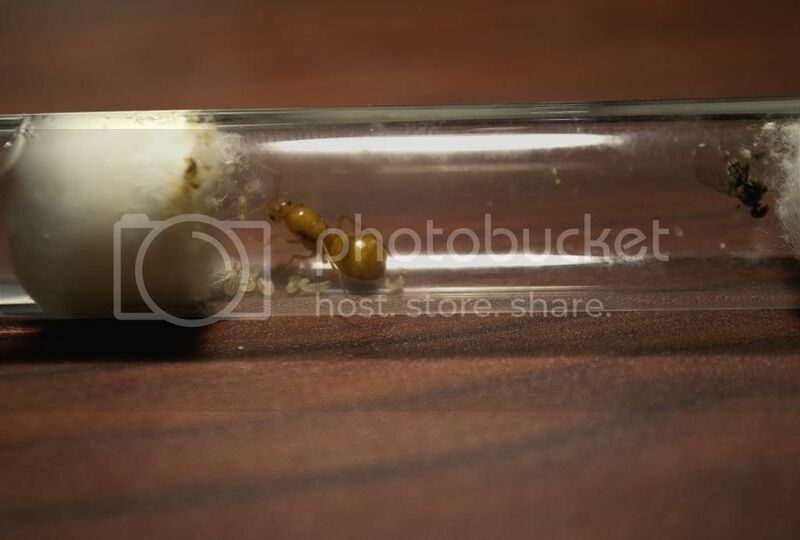 I recently captured a few queen ants during their nuptial flight this past August and I would like to know what species of ant this ant belongs to. A little background information. I live in the Mojave desert, in the most Southern part. I am at an elevation of about 4,000ft and in the transition habitat between pinyon/juniper and pine. The workers are yellow/orange and are nocturnal. I’ve seen these ants feeding on nectar and small insects. Their nuptial flight took place at dusk after an afternoon thunderstorm. Anyways, I think this species is a Myrmecocystus mexicanus, but a few others have mentioned that they are either M.testaceus or M.navajo. I’m so confused because all three sub species look the same! Here are links to two photos. Any information will be greatly appreciated! Thanks. As we discussed, you might want to wait until the workers come out. Does anyone else have any other suggestions? If so, please let leave a comment or contact me via wildaboutants (at) gmail.com. We’d appreciate it. Honeypot ants have a replete caste for storing food.